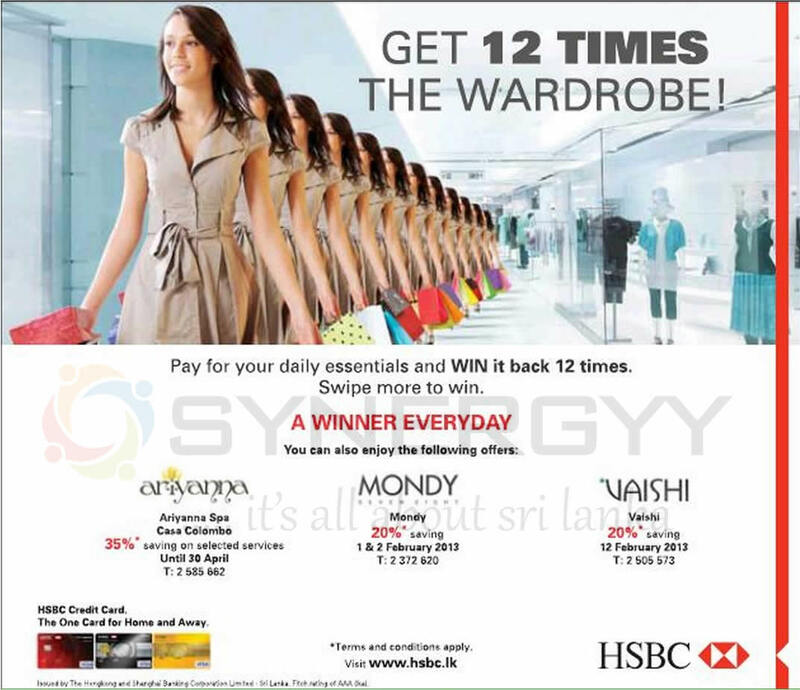 Mondy a leading fashion store located in Dharmapala Mawatha, Colombo 3 announces a big sale of 25% off on all clothing from 21st to 23rd October 2016 for cash, Credit & debit cards. 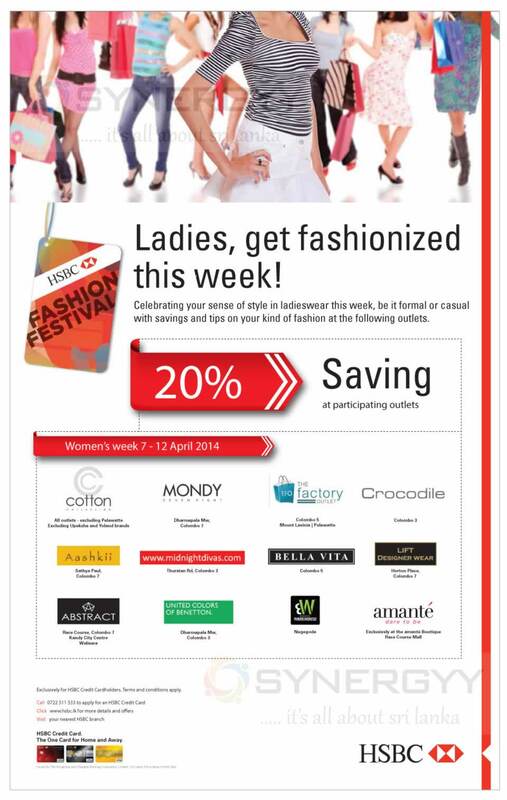 Celebrating your sense of style in ladies wear this week, be it formal or casual with savings and tips on your kind of fashion at the following outlets. 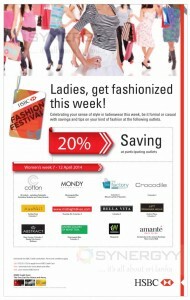 Exclusively for HSBC Credit Cardholders. Terms and conditions apply. HSBC Credit Cord. The One Card for Home and Away. The Mango Srilanka announced a special discount of 50% for this summer season, enjoy special half price clothing and accessories only from Mongo. 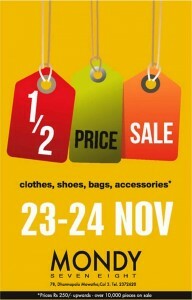 Visit Mango at No 1/1 Bagatale Road, Colombo 03. The MONDY Sri Lanka announces attractive discounts for the Sinhala &Tamil New Year 2013 as 25% Discounts for all Items on cash or card payment. The HSBC offers special promotions for the February 2013 on Ariyanna, Mondy and Vaishi. 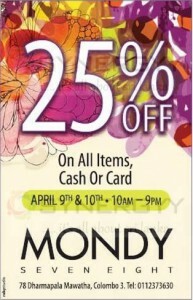 MONDY Year End Big Sale for all Items up to 25% on Cash or Cards. Enjoy a big Year end Sale and Celebrate New Year with an attractive Fashionable. 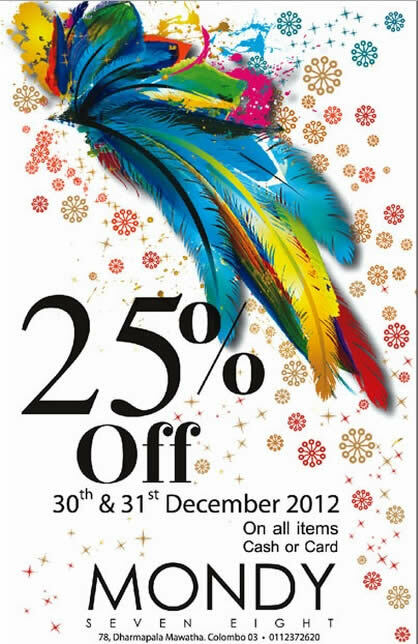 Offer valid on 30th and 21st December 2012. 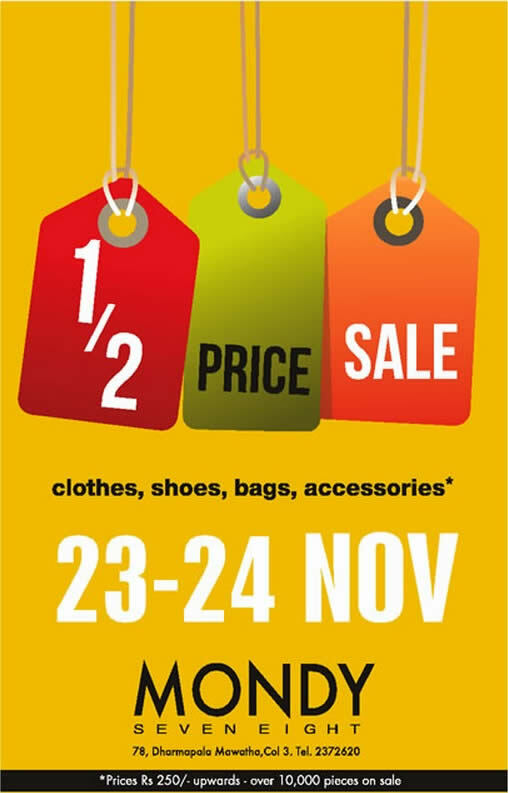 Do you looking for an Half Price offer, here MONDY Srilanka made a Pre Season Offer of Half Price 50% Discounted Price for Cloths, Shoes, Bags and Accessories.